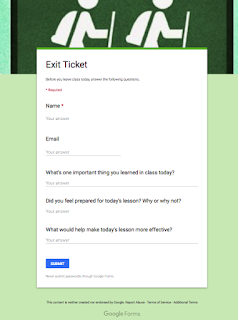 Yesterday we wrote about tips on how to better collect and manage Google Forms responses and today we are sharing with you another important Google Forms resource which several teachers overlook. 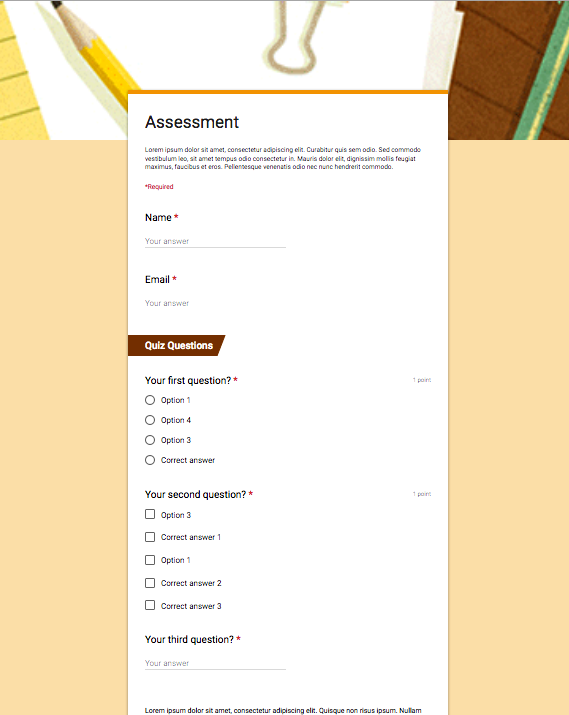 Pre-designed templates are ready-made forms you can appropriate for a wide variety of purposes. You do not have to spend tremendous amount of time working on a form template that is already created and provided for free. You can search the template gallery, pick the form you like and customize it the way you want. 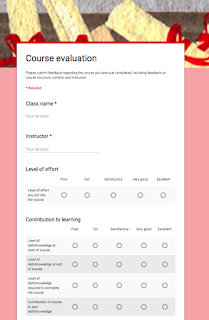 Below are some examples of templates you may want to consider when creating: an event feedback, assessment, worksheet, course evaluation, or exit ticket. To access and use any of these templates, head over to Template gallery, click to expand the gallery and scroll down to the bottom of the page where you will find them under the label Education. There are several web tools you can use to create exit tickets, however, if you want an easy and quick way to do so, this template is for you. 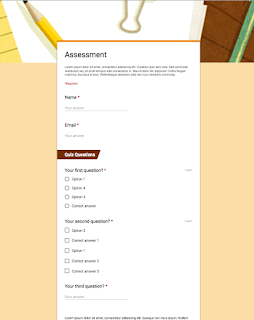 You can use this template to create assessments. 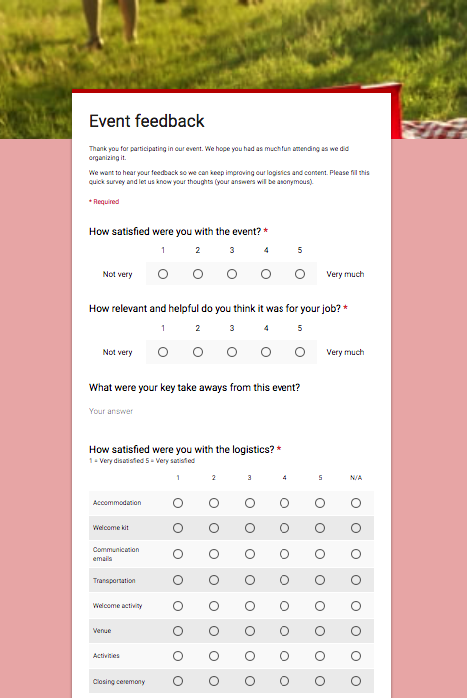 Using the editing tools on the right hand side you can add more sections, questions, and content. 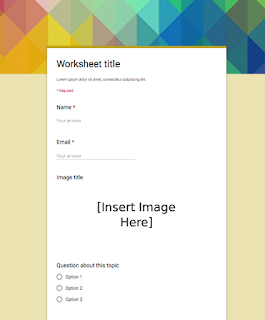 If you want a quick way to create a worksheet form this basic template is a good place to start with. As its name indicates, this template is for creating course evaluation forms.